In a small bowl, whisk together flour, cocoa powder, baking powder, baking soda and salt. In a large bowl, combine mashed bananas, yogurt, sugar, egg and vanilla extract. Fold dry ingredients into wet ingredient until just combined; gently stir in chocolate chips. Coat a 24 hole mini-muffin pan with cooking spray (or line with cupcake liners) and fill each with a heaping tablespoon batter. Bake until a toothpick inserted in center of a muffin comes out clean, about 13 minutes. Cool to room temperature in pan, about 45 minutes. Meanwhile, to make frosting, beat together whipped topping and peanut butter by hand until light and fluffy. Frost each cupcake with a rounded teaspoon frosting and chill until ready to serve. Yields 1 cupcake per serving. enjoy this from Associated Press. our favorite vinyl enthusiast on his new book "In The Pleasure Groove"
Watching one of my childhood heroes onstage in NYC was one of summer's best moments for me. 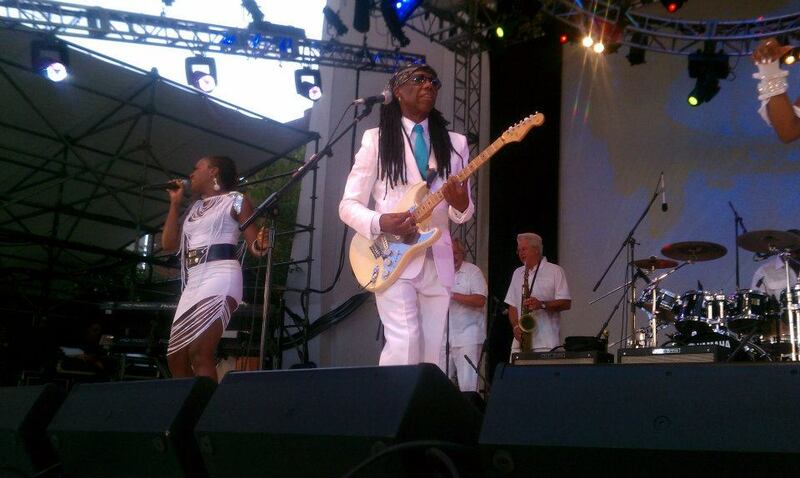 Just looking at Nile Rodgers made me tired LOL. Here he is performing, bouncing around onstage, snapping photos of the opening act and after with the fans, one day after a nerve treatment with a cancer specialist. You can read more about his victorious life & recovery at his Planet C blog here. 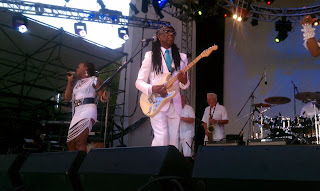 We want to thank his staff, the A team, for giving us access to continue our twitter conversation on a topic he discusses at length in his book "Le Freak"-- Chic's very first single, the Buddah pressing of "Dance, Dance Dance" (Yowsa, Yowsa, Yowsa). Thank you Nile for your generosity & inspiration! RT @grooveparlortv: http://twitpic.com/tvrrg - bought back in '77 mint condition-This came out after Atlantic-Even I don't have one-Thanks! I used to play this on a blue children's record player that folded like a suitcase. 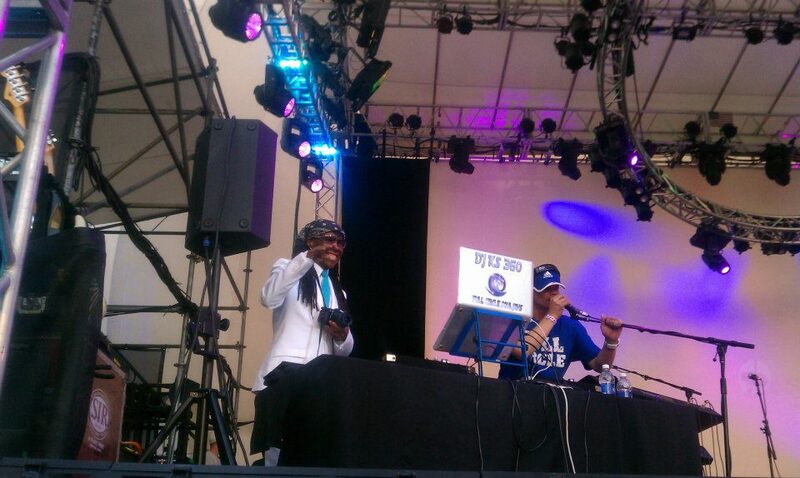 Nile in the DJ booth with the opening act! Greetings viewers! It's been a busy summer for us so we just wanted to take the time to post this EXCLUSIVE treat from our ace photog, Shari! 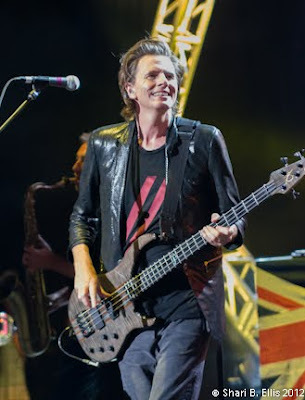 It's John Taylor from Duran Duran live at Pacific Ampitheater in Los Angeles. He's got a new book soon to be released in the fall and if it's anything like Nile Rodgers' bio...well, we can't wait to read it. update: John posted a new video about his book. enjoy! Fishbone on Soul Train vintage performance clip! Enjoy! Fishbone on Soul Train performing "Freddie's Dead"
Team Dark Skin does it again!!! Miss Grace Jones performs with a hula hoop at the young age of 64 at the Queen's Diamond Jubilee Concert! There is no substitute for authentic black beauty. Bravo Grace! Watch Musician Credits Arts Education; Redefining Path to Success on PBS. See more from PBS NewsHour.